Remember a short time ago when I reviewed the aptly named Uberstand? Well it seems that Litlab have persuaded Stanton that theirs is indeed the ultimate in laptop stands and in return, Stanton now sell the Uberstand as their very own. The Vestax PMC-280 - 4 channels, effects and everything! It's kind of frustrating being in the hallowed position of respected and trusted DJ hacks. We get to see and hear of things that we'd just love to share but can't. 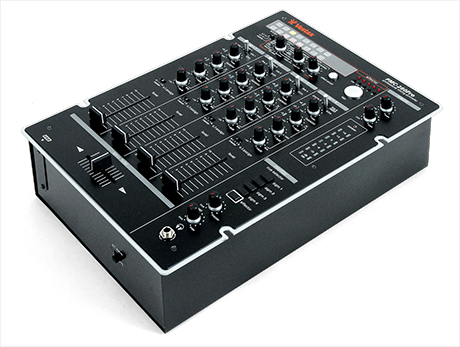 One such thing is the new Vestax PMC-280 4 channel mixer with effects. Spending time in the Vestax suite at PLASA, we witnessed the current crop of Vestax releases and then sat next to the shiny new VCI-100 (which arrives in the skratchlab next week) we spotted this beautiful beast of a mixer, and now thankfully we can talk about it. Well you saw this coming right? Yesterday, Stanton issued a carefully worded statement with a not so subliminal message which as we all expected, royally pissed off Native Instruments. Now after no doubt storming around Berlin for a while and sticking pins into voodoo dolls, NI pulled out their finest diplomatic dictionary and have issued a counter statement that hopefully will make things a little clearer. So we've seen the dissolving of the partnership between NI and Stanton and their respective and quite different product announcements at NAMM. But the thorny issue of Intel Mac compatibility for FS2 still rears it's ugly head. Did Stanton leave Intel packing Mac users high and dry? Read on for some carefully crafted words from Stanton. If you weren't at or haven't seen Netik's breathtakingly awesome DMC winning set, then you haven't witnessed the greatness of French scratch musician Le Jad. Taking a unique approach to making battle sets, Netik and Le Jad teamed up to create an audio onslaught of breathtaking proportions. 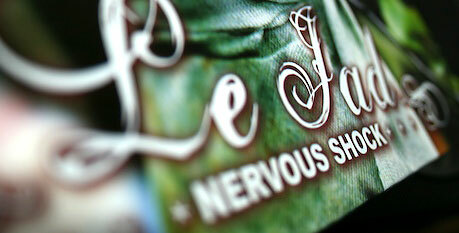 You may also remember Le Jad's first outing "Doll's Breaks" - the one with the nightmare inducing cover - well now it's time for the sequel called "Nervous Shock", with a slightly less creepy cover but still containing an audio wave of non-stop energy. CDs for Denon HD deck - but why? It's a funny time of year. NAMM has been and gone and a whole lot of hot goodies where unveiled. But literally a matter of weeks later, the biggest music show in the rest of the word - MusikMesse in Frankfurt - sees a slow but increasing trickle of new info seeping out from PR departments, official or other wise. Once such small release is a dual CD drive for the soon to be released DN-HD2500 unit. Cheesy straplines aside, the internet grapevine has been twitching... seems digital solutions are everywhere right now and currently in beta is Deckadance. Not too much is known right now unless you happen to be a beta tester for FL Studio but details have leaked out and they're too good to sit on until official news comes our way. Despite being a technology focussed site, does from time to time received goodies of an audio and video nature and I feel it's my social responsibility and just good manners to share them with you as well. The first of these is from Bay Area DJ Teeko. Having done the battle scene and walked away from it discontented, he worked hard to create his unique sound and that can be heard in full effect on "My Soundstation". As we all know, I came oh so close to making it to NAMM this year, but despite my absence, still managed to come up with all the hottest and most detailed news, before anyone else and straight from the source. Thankfully, just before NAMM started, CA local guy Peter Mapanao stepped up to the plate and donned his deputy badge (well NAMM press pass) and spent a day trawling stands to deliver you guys more pics from the event. But there's even more to come - Peter hooked up with his buddy Phillip Le and spent the last day filling in a few of the gaps and capturing some video. That's on it's way later, but for now, check the gallery. Waaaay back in March 2005, we posted a story about HP's DJammer - a wireless handheld controller. Depending on your viewpoint, this was either an amazing next level evolution of the DJ's artform or a massive heap of gimmicky crap. Well now you can judge again because Nintendo's Wii controller has now become another way to control Traktor. The problem is that unless you can move like JT, you're destined to look like your parents dancing at a party, and no amount of dope chooons is gonna let you get away with it.